I still remember the first time that I heard my mother cry. I was nine years old. We were in a hotel room while on vacation in Panama City, Florida. A newsman interrupted whatever was on TV that August day in 1977 and announced that someone named Elvis Presley had died of a heart attack in Memphis, Tennessee. My mom burst into tears, sobbing uncontrollably. The same sound began bellowing from every room. What was happening? Why was there so much heartbreak in our hotel? Who was this Elvis guy? My dim concept of him was only that he was just some fat singer who liked to wear capes. Why were grown men and women crying so hard? An eerie silence followed the crescendo of tears. Fellow tourists emerged from their rooms, stepped out on to the beach and walked aimlessly along the shore. Some people drew in the sand — making great big hearts and writing his name in the center with the letters “RIP.” Others wrote longer messages. Sunset came and washed them all into the sea. No one spoke. Strangers only nodded to each other in passing, expressing some communal grief I couldn’t then possibly understand. Newspapers hit the hotel lobby the next morning with headlines so big that I could read them without the aid of my Coke-bottle-thick eyeglasses. I’m sure my mom tried to explain why Elvis was so important to her and millions of people throughout the country. I don’t remember her words but I took away from the moment that Elvis was a hero and an idol to her. He was really important. He must be as famous and as loved as my hero, Dallas Cowboys’ quarterback Roger Staubach, I thought. I didn’t think much about Elvis after that. Visiting Memphis during a college trip in the late 1980s, I toured Graceland. My dim understanding of the man illuminated only a bit: He was a fat singer who liked to wear capes, do drugs and spend offensive amounts of money in silly things. I was repulsed, a view that would be cast in cement for the next 30 years of my life. A sledgehammer pounded that view into a million pieces last month. My wife and I entered the home of a woman who called us about an Elvis Presley collection and a larger records and rock memorabilia collection that she wanted to sell. It belonged to her late husband. Most people who call us and say they have “a lot of stuff” don’t really understand what “a lot” means to people in the estate liquidation and antiques and collectibles business. She in fact had a ton … a truly massive collection of vinyl records from the 1960s through the 1980s, CDs and so much more. It was like walking into our own rock and roll records store. There was country, blues and a bit of jazz, too. 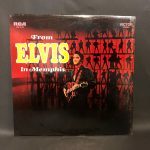 It was easy to get distracted by the comprehensive library of records from The Allman Brothers Band to Buckwheat Zydeco but heart of it all was the Elvis Presley collection. We knew that we had no choice but to spend every penny we had buying and transporting the entire collection. After spending a month just trying to get our arms around it, we’re officially launching the Records/CDs/Music Memorabilia department of our booming Orion’s Attic eBay store today. Visit the store now and in the days and months, if not years, ahead to see the newest listings. The Elvis Presley collection is of course front and center. The collection includes hundreds of records, CD sets, rare movie and concert posters, even more rare press photographs, toys, concert ticket stubs, books, magazines, trading cards, Christmas ornaments, record sleeves, framed cardboard standees and items in boxes we haven’t yet even had time to open. the tomes — is an original Alfred Wertheimer signed black and white photograph of Elvis. I didn’t know who Wertheimer was before I began studying the photograph. 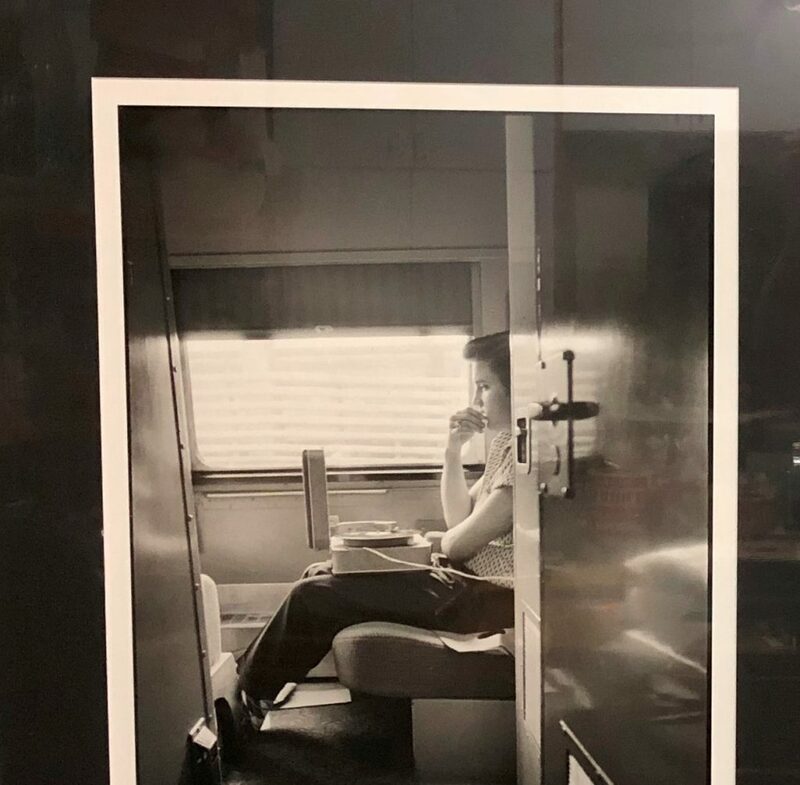 The acclaimed photographer (1929-2014) captured the image on July 3, 1956, as Elvis rode on a train back to Memphis while listening to an acetate of “Don’t Be Cruel,” which he had recorded the day before in RCA Studios in New York City. 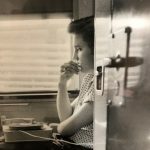 Wertheimer, a German-born Brooklyn resident and freelance photographer, landed the assignment of photographing Elvis in 1956 — just before and as Elvis exploded to stardom. Wertheimer would spend some 10 days with Elvis over the next two years, shooting approximately 2,500 photographs. His work with Elvis captured an intimacy that other photographers did not have the skill or access to create. The rest of the music collection features all the greats — countless records from the Beatles, Ray Charles, Patsy Cline, Bob Dylan, Etta James, Jerry Lee Lewis, The Kingston Trio, Rolling Stones, Muddy Waters and about everyone else you can name. 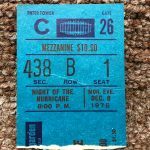 We’ve also turned up some really neat memorabilia surprises such as a Bob Dylan Rolling Thunder “Night of the Hurricane” Ticket Stub from December 8, 1975. This is from the famous Rubin “The Hurricane” Carter benefit concert. He was the American-Canadian boxer who was wrongly convicted of murder and later released from prison after spending 20 years behind bars. We’ll be listing more Elvis and other albums for at least a year. stillborn pulled himself up from his hillbilly roots and made himself the king of rock and roll. The one time I performed stand-up comedy for five minutes at the DC Improv comedy club was the greatest rush of my life: I can’t imagine how global fame could affect a person. I wonder if people like Elvis ever felt they were a prisoner of their own fame, unable to leave their houses to even go for a walk without a presidential-level security detail and thousands of people pawing at them. How can you maintain an honest sense of self and humility when the whole world is constantly telling you how great you are? That can’t be easy. I am connecting to Elvis as a flesh-and-blood person, a man who made enormous contributions to music and to the world and who also had his flaws like the rest of us. I am also starting to get how wildly exciting it would have been for a teenager to see the handsome rebel on TV and to listen to his ground-breaking music on the radio. 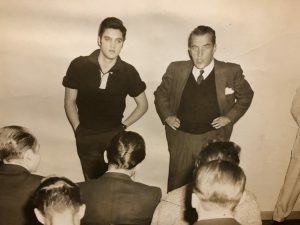 For the first time, I can finally understand how a young, bright-eyed school girl fell in love with Elvis — and why she cried so hard in that Panama City hotel room the day Elvis died. Looking for a great Maryland/DC/Virginia estate liquidation company or know someone who is? Contact us today! 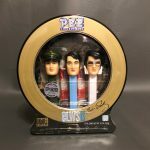 Orion’s Attic is a full-service estate liquidation and home clean-out firm that also buys a wide range of individual collections including not just Elvis memorabilia and vinyl records but also jewelry, sports memorabilia, fountain pens, Lladro figurines, military items, advertising, vintage toys and so much more.